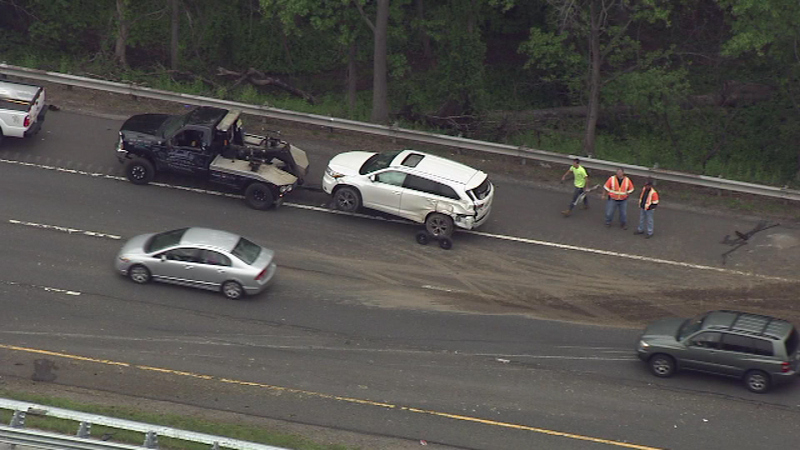 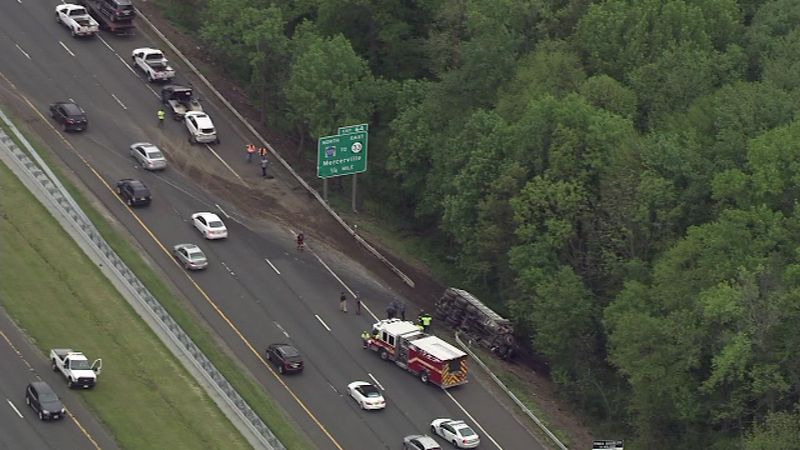 Chopper 6 was over the scene of a crash involving a dump truck on Interstate 295. 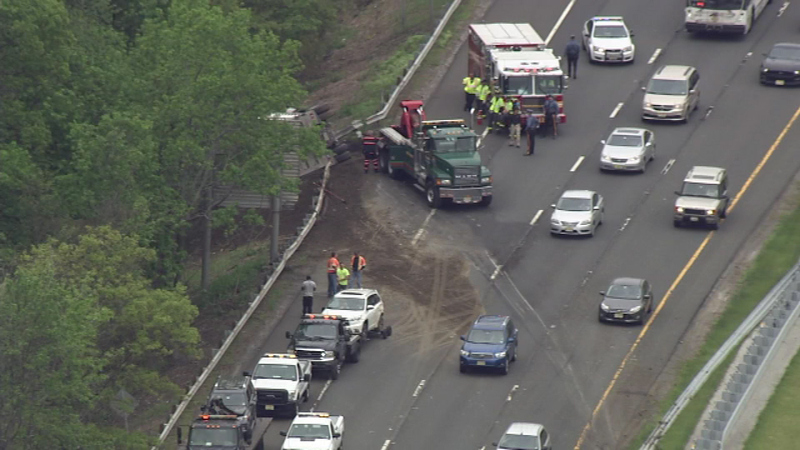 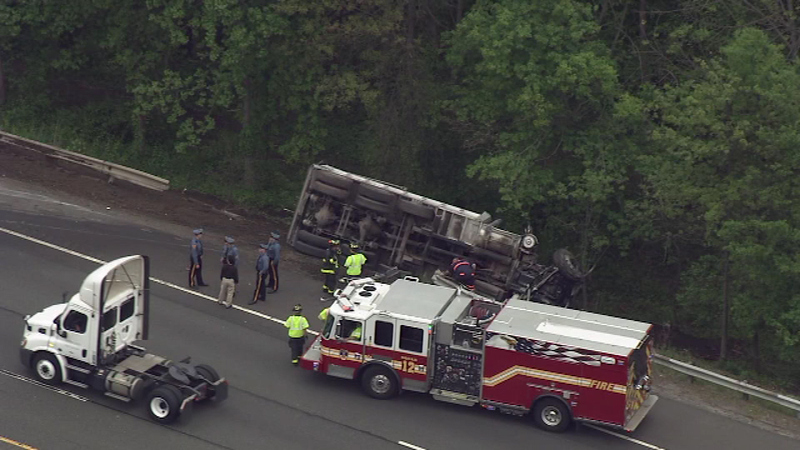 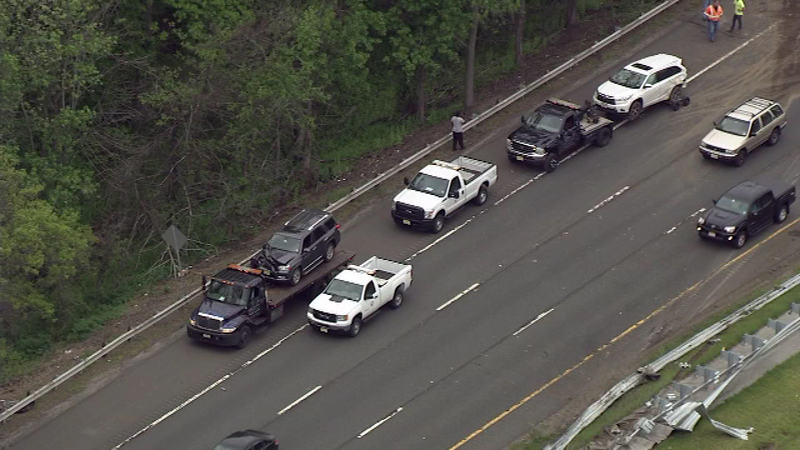 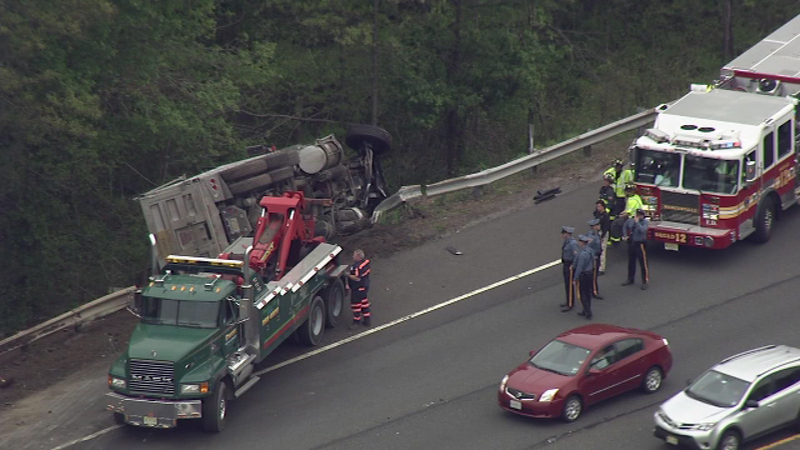 HAMILTON TWP., N.J. (WPVI) -- A crash on Interstate 295 in Mercer County, New Jersey left a dump truck hauling manure flipped over in a ditch and at least two other vehicles damaged. 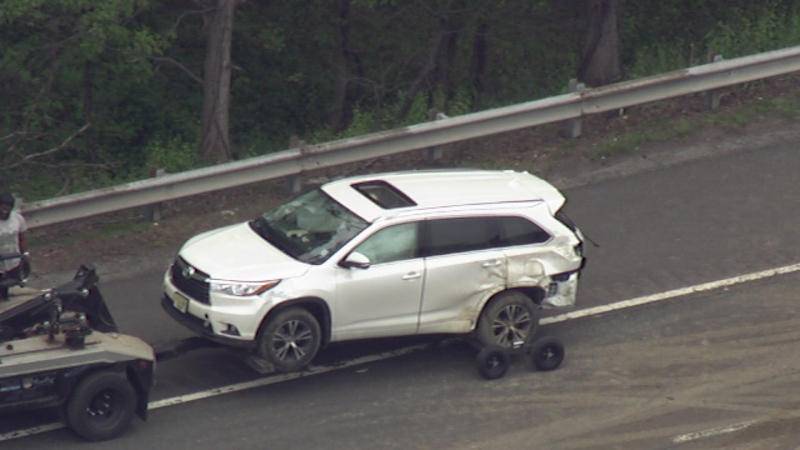 The crash happened around 12 p.m. Tuesday near Exit 63 for Sloane Avenue in Hamilton Township. 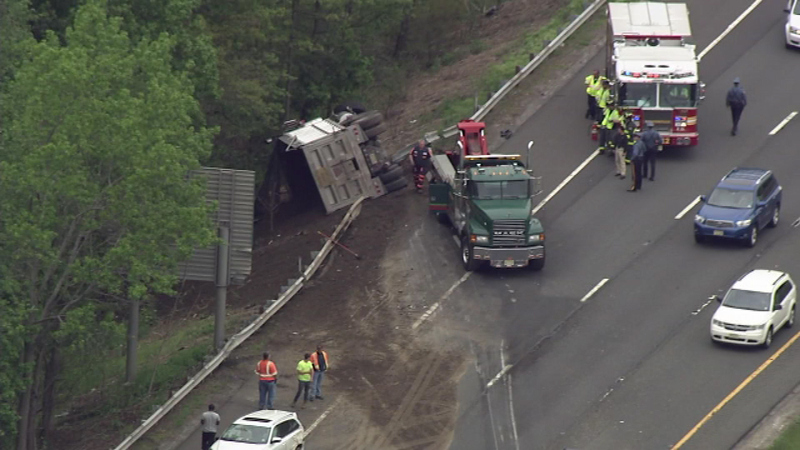 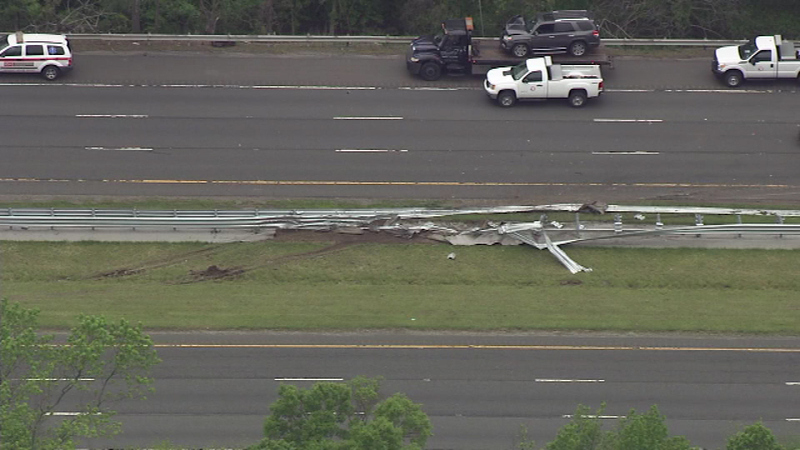 Chopper 6 was over the scene of a dump truck crash on Interstate 295. 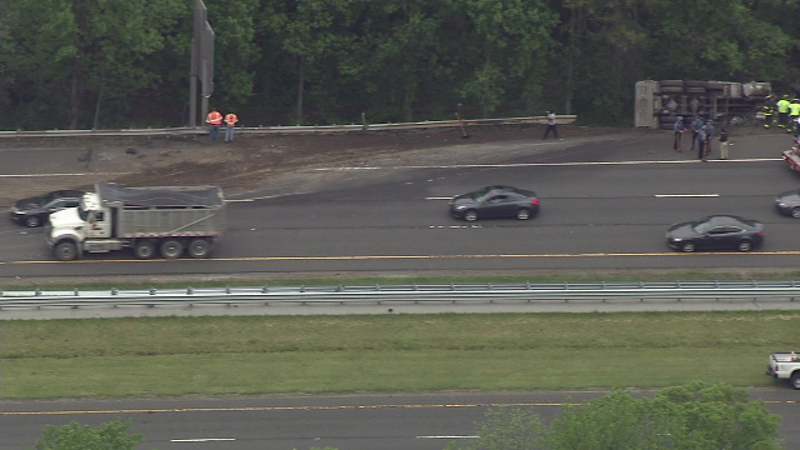 It appears the dump truck driver crossed the median and crashed in the southbound lanes. 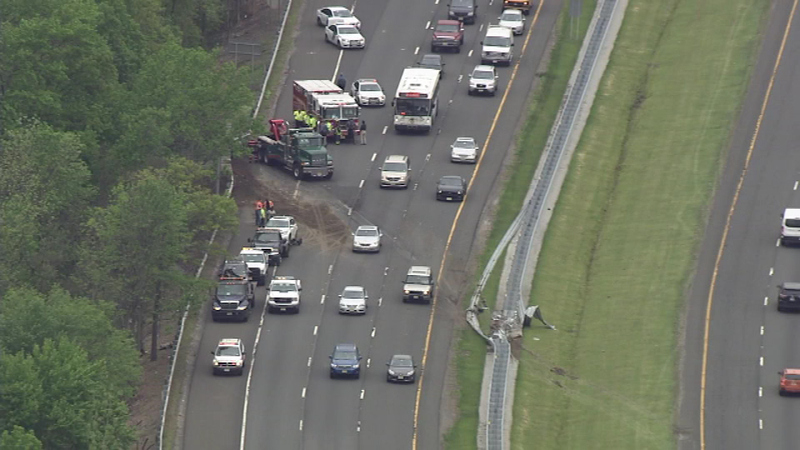 The view from Chopper 6 showed a damaged guard rail and a trail of manure on the road behind the truck. 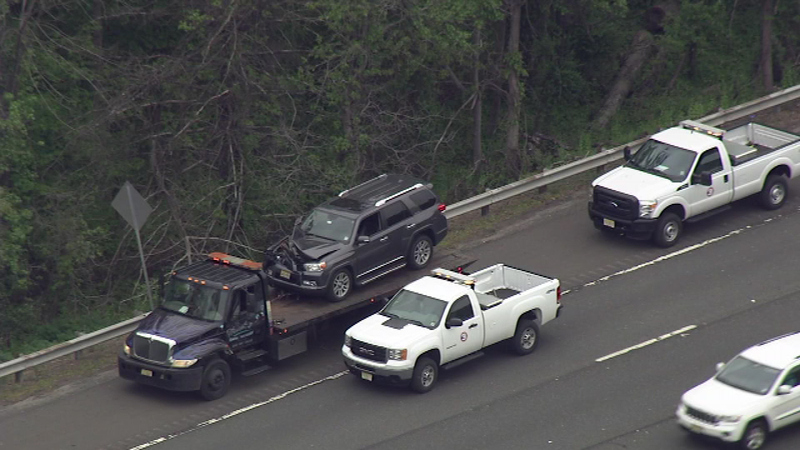 A gray SUV with front-end damage and a white SUV with rear-end damage were being towed away from the scene.